The Rocky Region’s best and boldest example of Western – Mountain – Asian fusion. 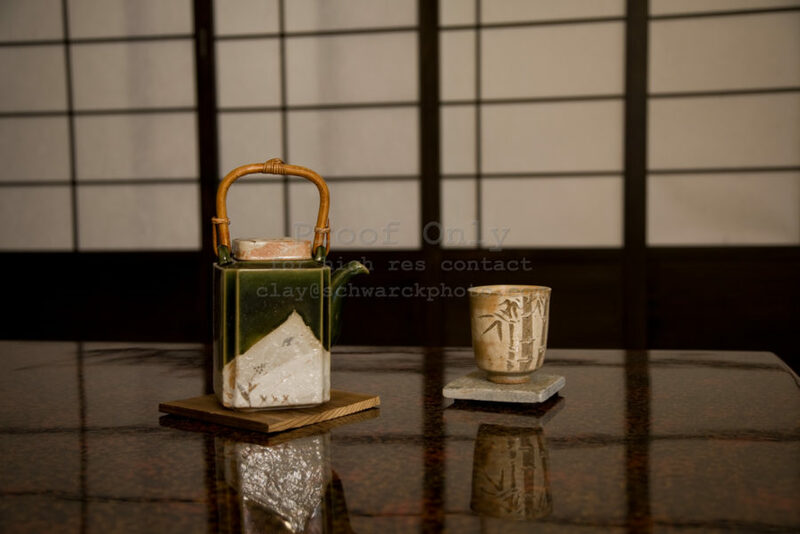 A unique collaboration between Michael Rath and the owner resulted in a one-of-a-kind 6000 square foot home with a totally authentic 800 square foot Japanese Tea House surrounded by gardens and a hot springs spa. 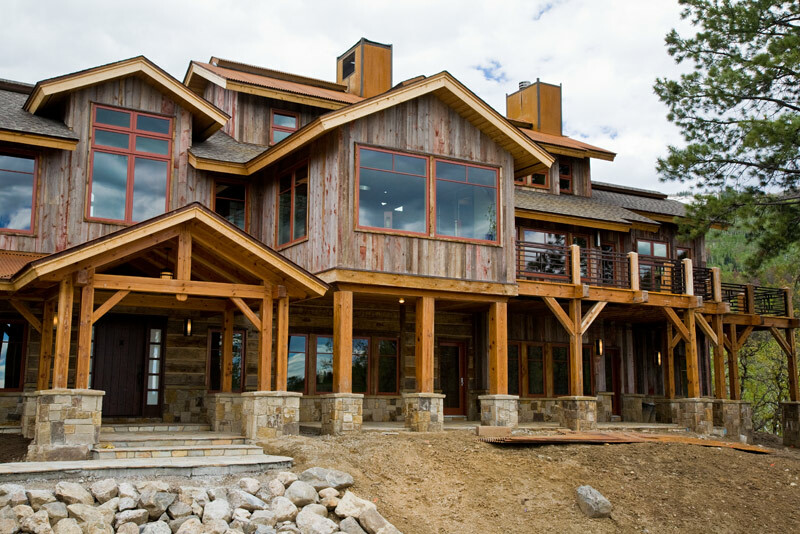 Located on a premier ski in and out lot in Steamboat, the home will serve as a creative space as well as a gathering place for friends and family. 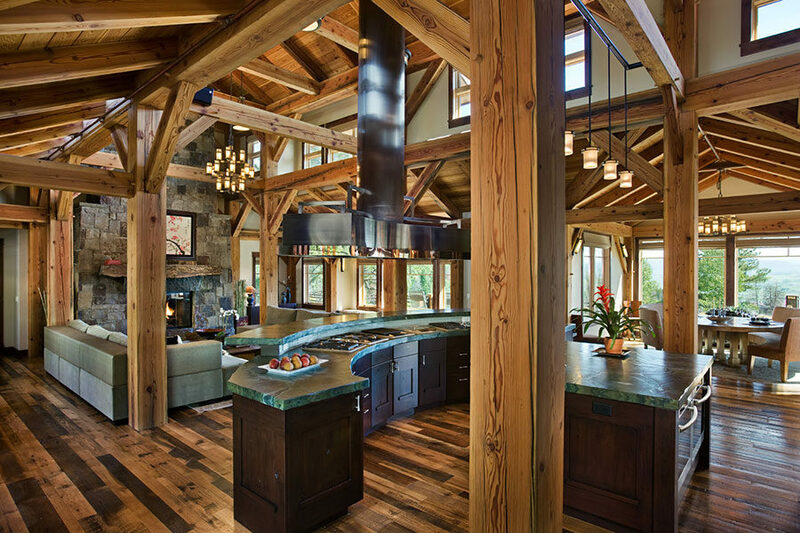 This timber frame home features timbers from a railroad trestle that once spanned the Great Salt Lake. 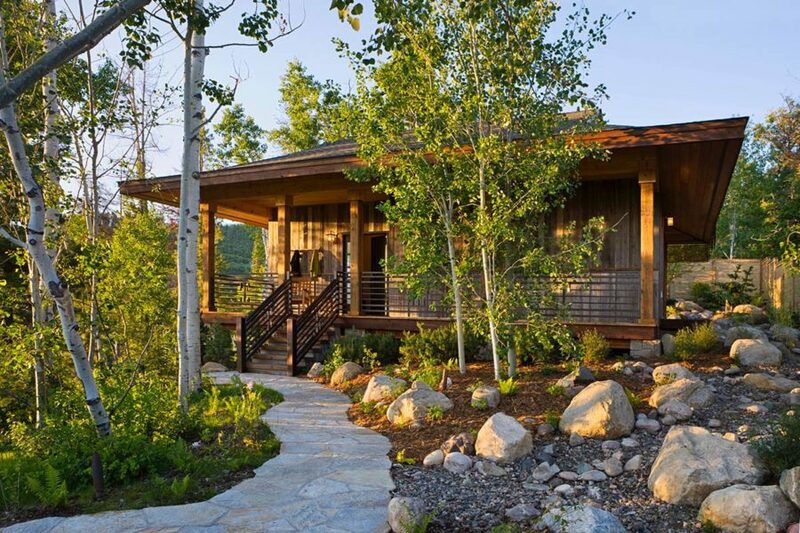 Structural Insulating Panels wrap the entire timber structure in a combination of polyurethane foam and OSB, making this home not only incredibly energy efficient, but also awesomely sturdy and stable. 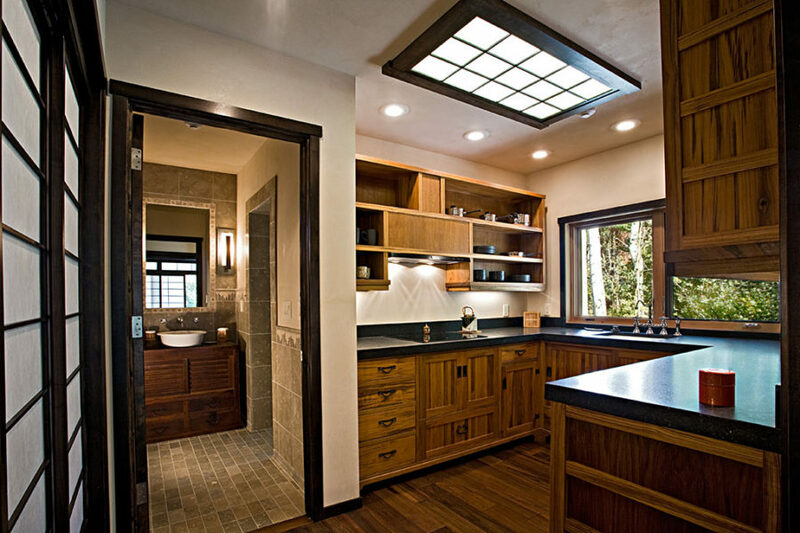 An air exchange management and humidification system delivers fresh air throughout the home to offset the “tight” quality of the building envelope. 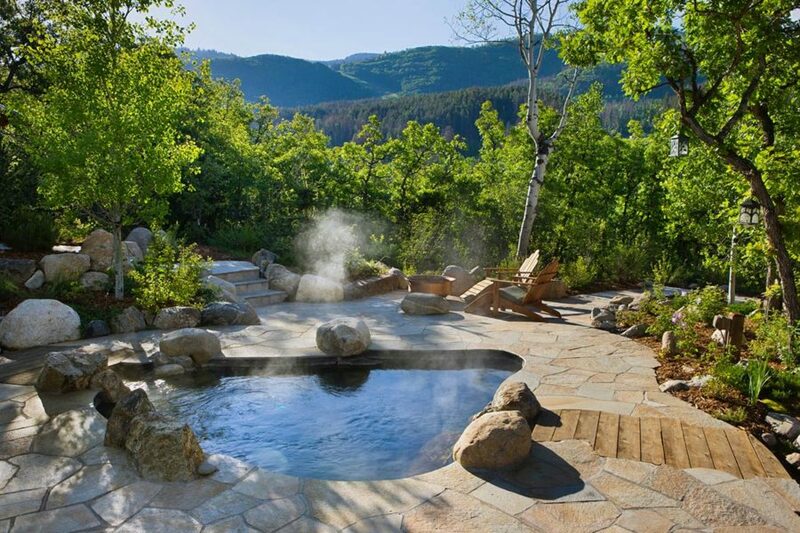 On a hilltop overlooking the ranch town of Steamboat Springs, Colorado, a turn of the century entrepreneur and lover of American West and Japan builds a ranch estate. 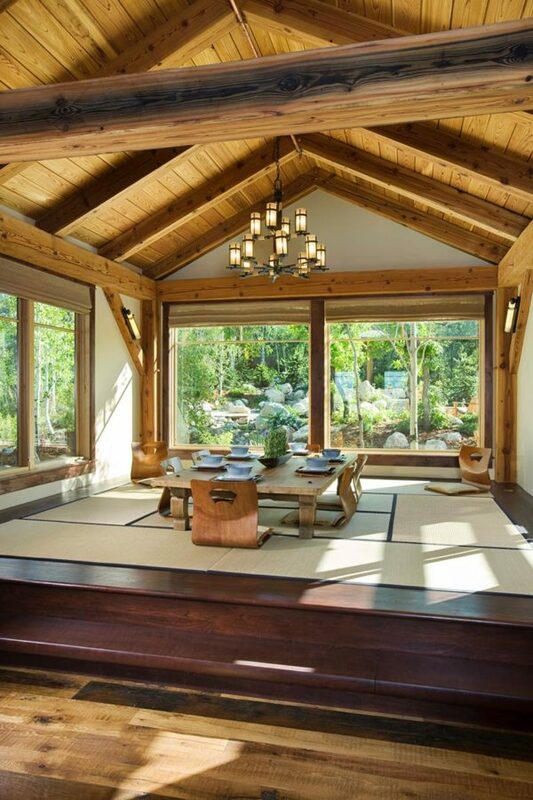 He surrounds his home with Japanese gardens and in a quiet meadow in the back, pays homage to serenity with a Japanese Tea House. 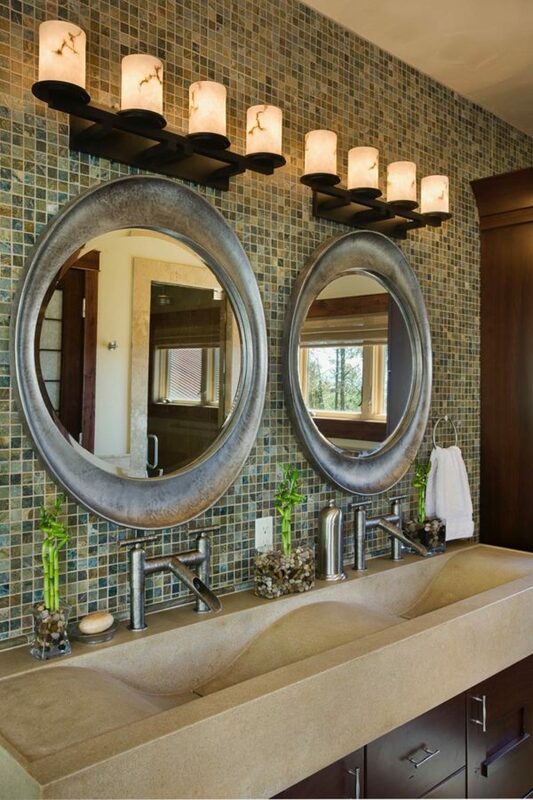 Ski in to the luscious garden spa. 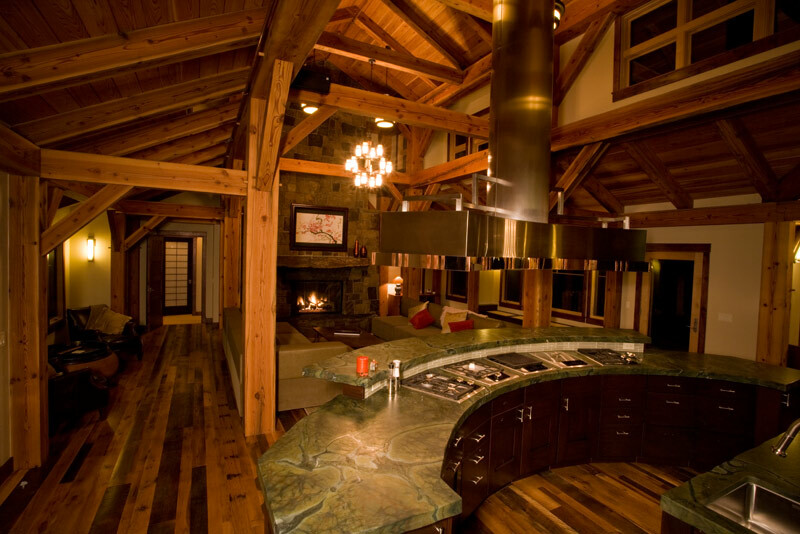 An outstanding example of the “Design Build” concept, the owners charged Trilogy with the design, construction, interior design, and décor of this marvelous mountain retreat. 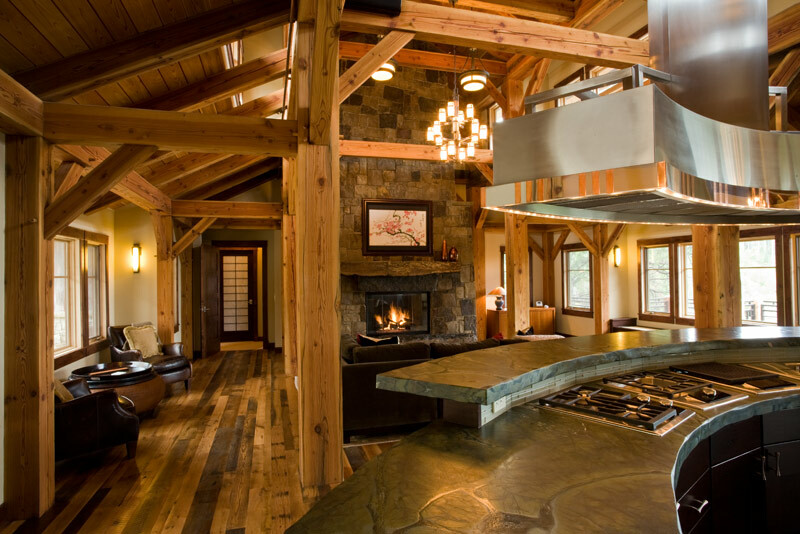 Located on a premier ski in and out lot in Steamboat, the home will serve as a creative space as well as a gathering place for friends and family.